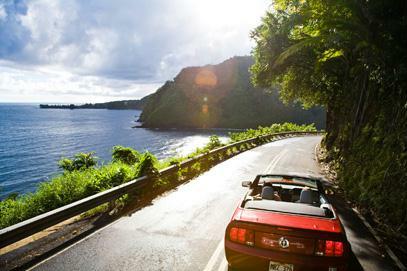 Ho'okipa Haven has special contracts with several car companies and can be booked directly, just click on the links below. Reservations are confirmed and may be changed/ cancelled any time without penalty. Payment upon pick-up (credit card or deposit is NOT required to confirm a reservation), except specialty cars with Budget. Driver must be 25 years old with a major credit card. Drivers between 21 - 25 years are subject to additional fees. All rates are guaranteed when confirmed, taxes may change any time. Alamo offers reasonable rates for all islands.